Consistently a best seller, the Logan polo features a subtle western design with a 4-snap button placket. Clean contrast stitching found on the front and back. Iconic QED Style logo emblem located on back collar. The Logan is a favorite for its elegant look, premium lightweight fabric and creative detailing. Each Logan polo contains snaps specifically chosen to complement that individual shirt. The snaps are another great example of the unmatched detailing found in our apparel. Made with premium polyester fabric, this polo is easy to care for and performs great in high temperatures. 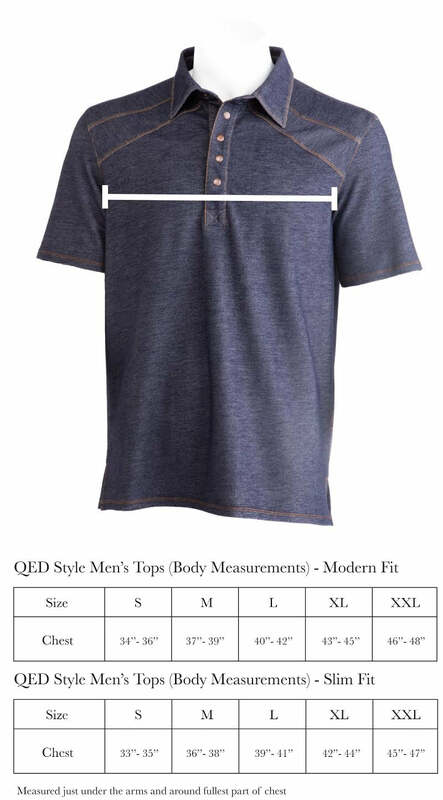 Whether you’re on the course or out on the town, this shirt is very simple to dress and will surely become a new favorite.